Index / Tech Discussion / I built a PC! Hi everyone! As you all probably know, I haven't been active on here lately. This is partly due to the fact that I graduated last year and have been working ever since. But the real reason is that during my final semester, while working on a tough essay, I accidentally spilled water on my laptop. Yeeeeeep. I tried to shut it off before any of the components got damaged, but it was too late. My laptop turned itself off, and never turned back on. I salvaged my old hard drive and put it in this nice USB enclosure. Now, I had been thinking for some time that my ideal technological setup would be, instead of a laptop, to have a tablet and a desktop. So in a way, losing my laptop gave me an opportunity to start pursuing that. To get myself through my final semester, I went and bought a tablet. Unfortunately, I didn't understand what makes a good tablet at the time, so I picked up this weaksauce thing. It was terrible as a tablet--it was heavy, unbalanced, and the resolution was either "so fine you have to squint" or "hella fuzzy". It was also not that good as a laptop; you couldn't disable "tap to click" or adjust the sensitivity of the touchpad, and it was such a low-end, low-power-consumption product that it would regularly crash and restart every 30 minutes. I'm starting to think windows just isn't meant for tablets, aside from maybe those super high end ones like the Surface Pro. Two months ago, I decided to start building my PC because I miss overrunning BL2 with Typh. The first set of parts that I bought was for a full size ATX tower, but I quickly discovered that it wouldn't fit in the hutch on my desk. So I had to exchange that case, motherboard, and processor for a micro ATX case/motherboard/processor. As it turns out, Fry's is fairly limited in micro ATX cases. The one I went with was the Antec P50, but Fry's only had a dinged-up floor model left, so I ended up getting it online. And various other misadventures occured as I started building. But I managed to get over each hurdle. As of Sunday, my PC is now up and running! 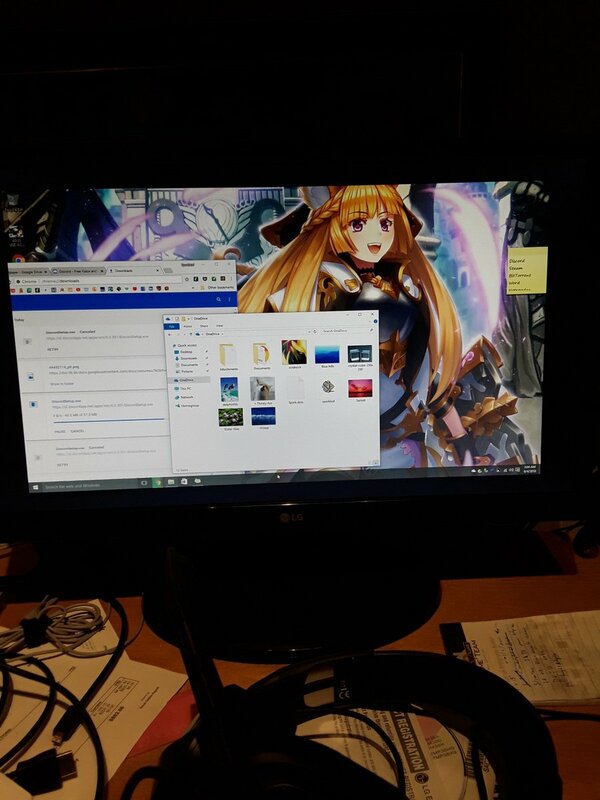 Special thanks to A1v1n1 for giving me his graphics card. It may not be a shiny new GPU but it works great. 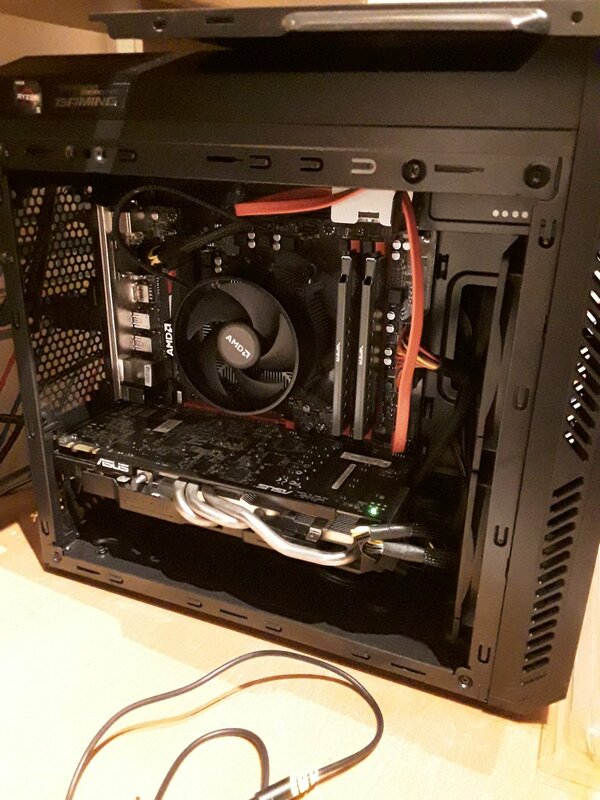 Here's my build on PC Part Picker! Anyway, the Windows license I used was one that my dad had lying around from back when Windows 10 first came out, so now I have 3 years of updates to install. Cheers! "Spark's Supercube" AKA the Fox Box.